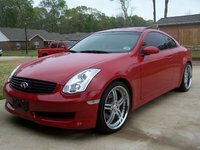 CarGurus has 84 nationwide M45 listings starting at $4,900. Representing a significant reworking of the previously unremarkable M45, the 2006 Infiniti M45 offers s significant improvement in handling, performance, and high-quality luxury comfort. Sharing the FM platform with the G35, but built on a longer wheelbase for more interior room, the 2006 M45 enters showrooms as the most technologically sophisticated Infiniti on the market. 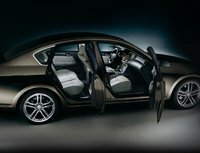 The rear-wheel drive sports luxury sedan comes in Base and Sport trims -- the latter adds a sport-tuned suspension, bolstered sport seats with special stitching, larger 19-inch alloy wheels, alloy trim, and Rear Active Steer, which adjusts rear wheel angle to smooth out cornering. Both trims are powered by a class-leading 4.5-liter V8 that takes no prisoners with its 335-hp and 336 ft-lbs of torque. The easy acceleration is complemented by a 5-speed short-throw shiftable automatic that makes highway driving both fun and effortless. The sedan seats four, with power front seats and the option to add reclining rear seats. The trunk, however, is relatively small for a mid-sized sedan, coming in at 15 cubic feet. Base models are fully outfitted with an array of power features, a 6-CD changer, sunroof, and push-button ignition located on the dash or operated via the remote key fob. A dash-mounted interface uses a centralized button to control audio and climate. A strong safety profile includes traction and stability control, 4-wheel ABS brakes, dual front-side airbags and side curtain airbags, and 18-inch alloy wheels. Many of the technological innovations are available as options. Adaptive cruise control regulates the distance between the M45 and the traffic ahead. A lane departure warning system sends out chimes if the car starts to drift without a turn signal. Adaptive headlights and a rearview camera are some of the options available in various packages (Technology, Journey, Premium). On the outside, the 2006 Infiniti M45 looks very much like the Q35, but a raised trunk line lends a more wedge-like shape to the sedan. Interior materials, including the leather seats and real wood trim, have been upgraded for a softer, subtler elegance. The move seems to have worked. Owners of the 2006 M45 rave about the ergonomics, interior comfort, roominess and features such as the voice-activated navigation system. 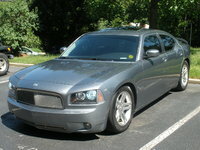 The sedan offers a generally quiet ride, though some drivers report noise in trims equipped with 19-inch wheels. What makes the M45 even more attractive is that it offers all the performance and standard features of similar sport sedans (BMW, Mercedes Benz), but at a lower price. The low 18/25 fuel economy, lack of a 6-speed automatic, and non-distinctive styling top the list of drawbacks. 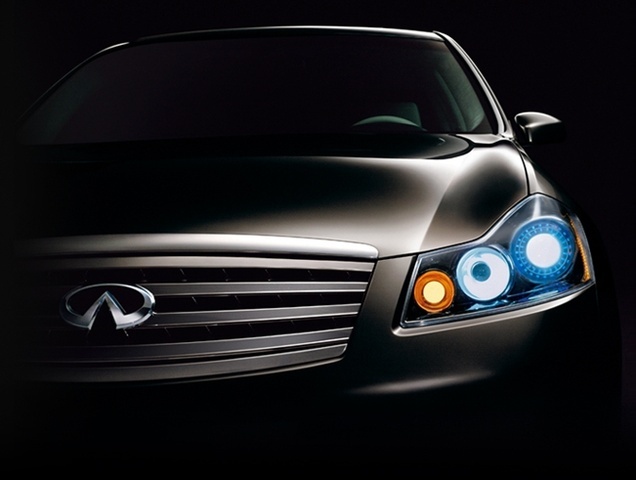 What's your take on the 2006 INFINITI M45? 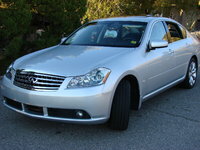 Have you driven a 2006 INFINITI M45?